"It’s about making a difference on one property at a time"
Florida Scrub-Jays are Florida’s only truly native bird. They breed nowhere else in the world. But today, their population is just 10% of what it was 200 years ago. Marianne Korosy of Audubon Florida is among the people working to save the jays. She coordinates the Jay Watch program, which monitors Florida Scrub-Jays and restores their habitat in places like the Lake Wales Ridge Important Bird Area. “It’s about making a difference on one property at a time,” she says. 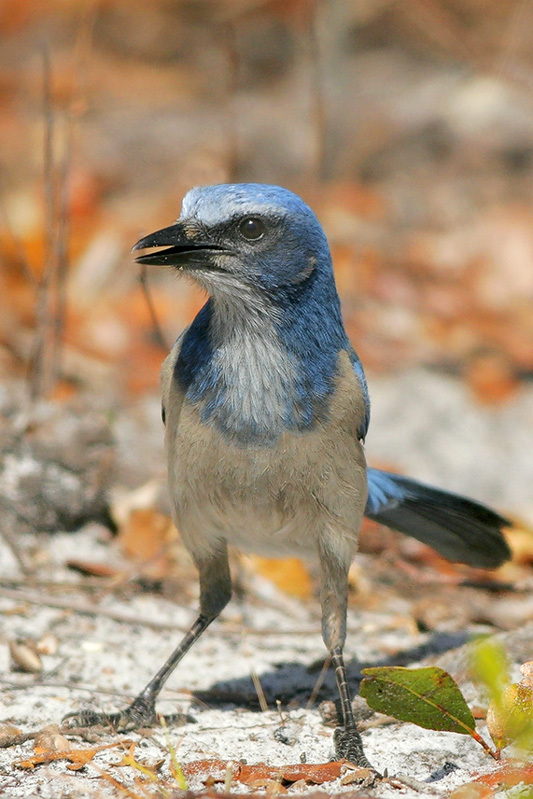 Florida Scrub-Jays – beautiful, curious, and easily approached – are Florida’s only truly native bird. They breed nowhere else in the world. But today, their population is just 10% of what it was 200 years ago. One remaining stronghold is an area of ancient sand dunes and scrub oak in south-central Florida, called the Lake Wales Ridge Important Bird Area. Marianne Korosy (Ka-RO-see), with Audubon Florida, coordinates Jay Watch there, which monitors the birds and restores their habitat. What does Marianne recommend for people anywhere who like birds? There’s more to this story at birdnote.org. Bird sounds provided by The Macaulay Library of Natural Sounds at the Cornell Lab of Ornithology, Ithaca, New York. Calls of Florida Scrub-Jay  recorded by G.A.Keller; single call of Florida Scrub-Jay  by G.F. Budney. Ambient drawn from  Eastern Towhee recorded by G.A. Keller. John Fitzpatrick & Cornell Lab are conducting fascinating research! 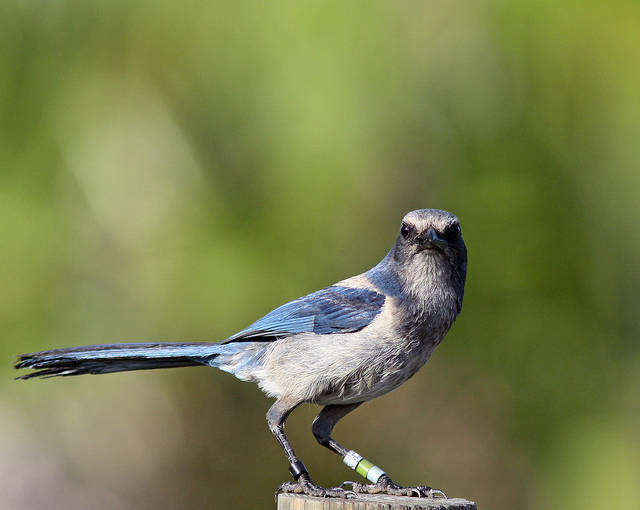 "Florida Scrub-Jay - A Species in Peril"